Matthew Rachman Gallery is pleased to present Mies van der Rohe: Chicago Blues and Beyond, an exclusive collection of original blueprints, artifacts, and furniture designed by Mies van der Rohe. The exhibition will open on Saturday, April 13th with a fundraiser for Farnsworth House from 6 - 9pm featuring speakers Scott Mehaffey, executive director of Farnsworth House, and Dirk Lohan, renowned architect and grandson of Mies van der Rohe. The opening reception and exhibition are free and open to the public. Mies van der Rohe: Chicago Blues and Beyond presents a collection of original blueprints and furniture by the legendary architect and designer. Ludwig Mies van der Rohe (1886 - 1969), a pioneer of modernist architecture, emphasized design with structural order, open space, and minimal, industrial framework. The series of blueprints presented illuminate the intricate planning that went into Mies’ reductionist approach. 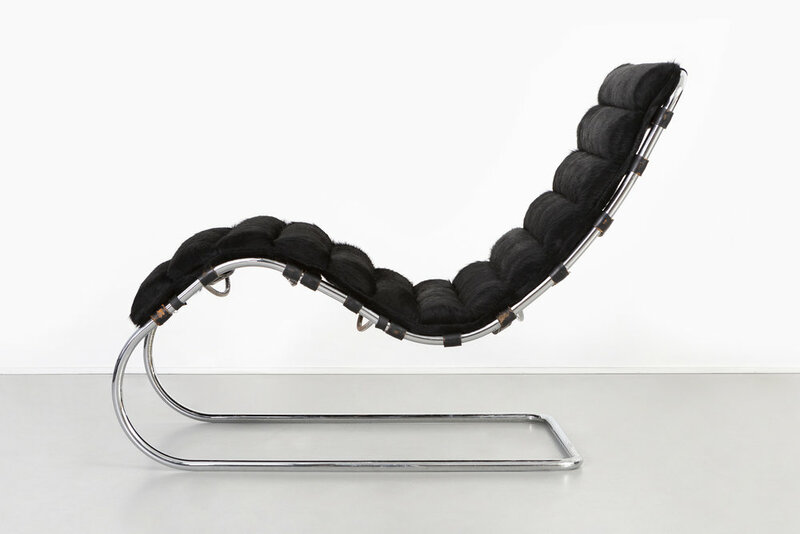 Mies’ furniture emphasizes form and line, echoing his minimalist and rationalist architecture. This exhibition explores the indelible mark Mies van der Rohe’s designs left on Chicago and beyond.